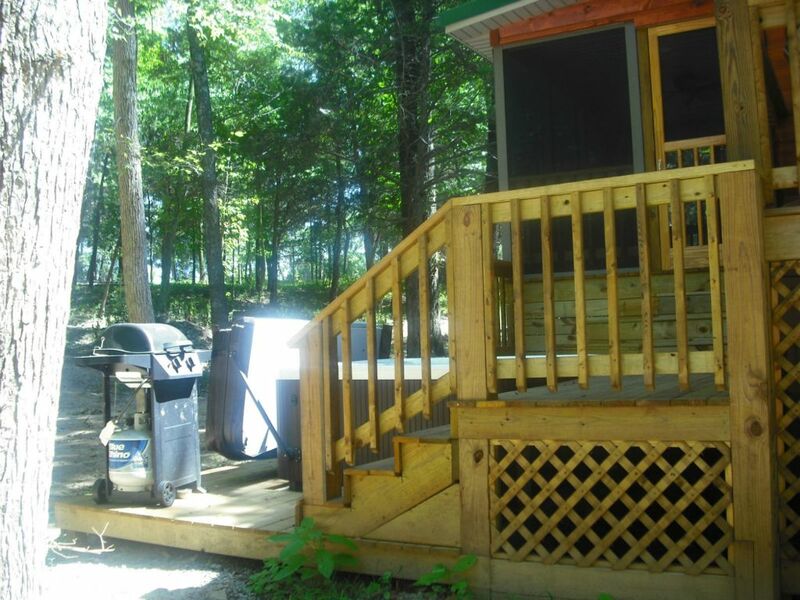 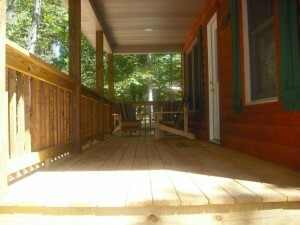 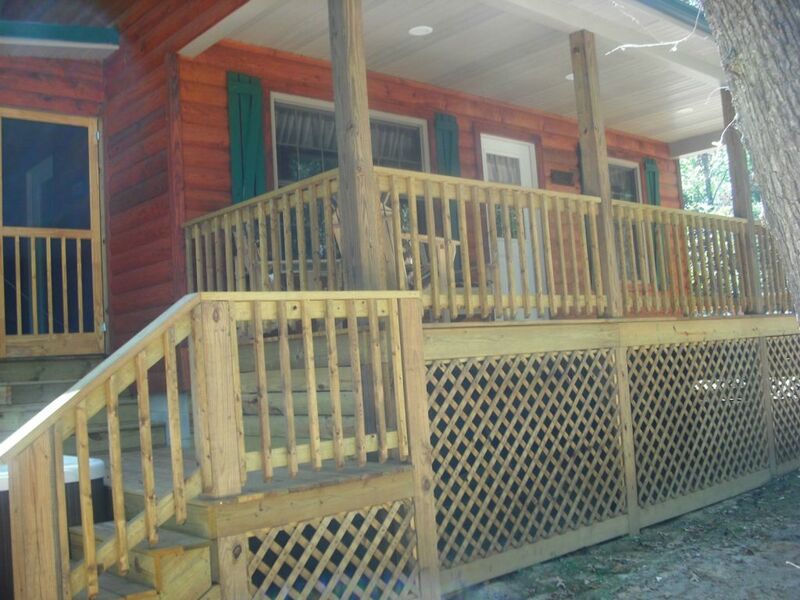 Skipper’s Dream is a two bedroom cabin that has a queen bed, a full bed and a full size fold out couch. 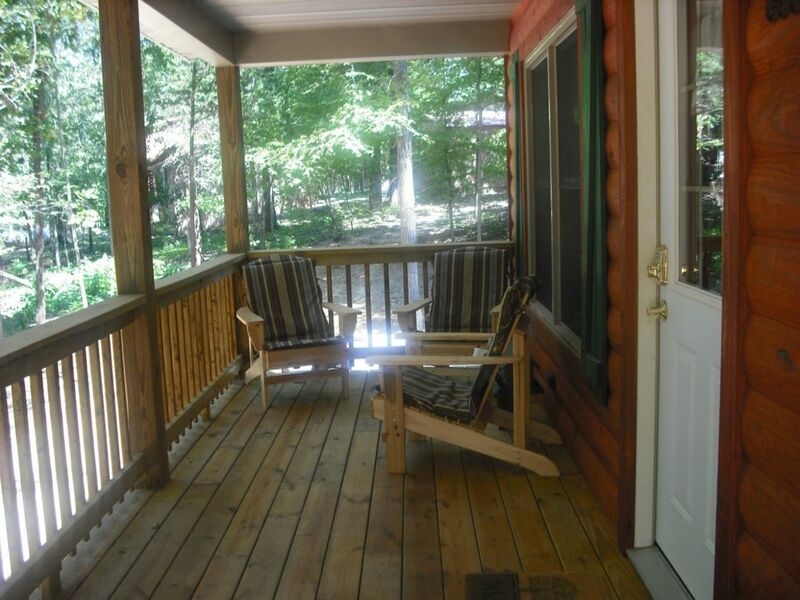 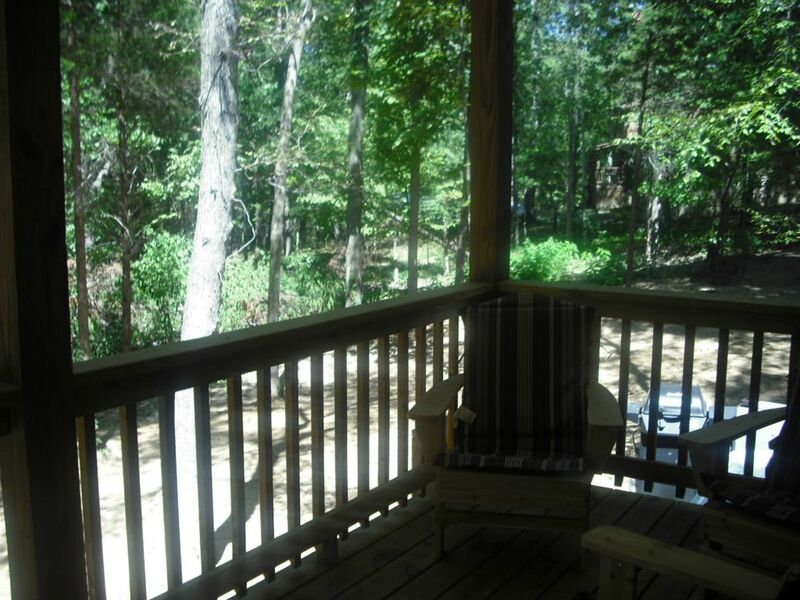 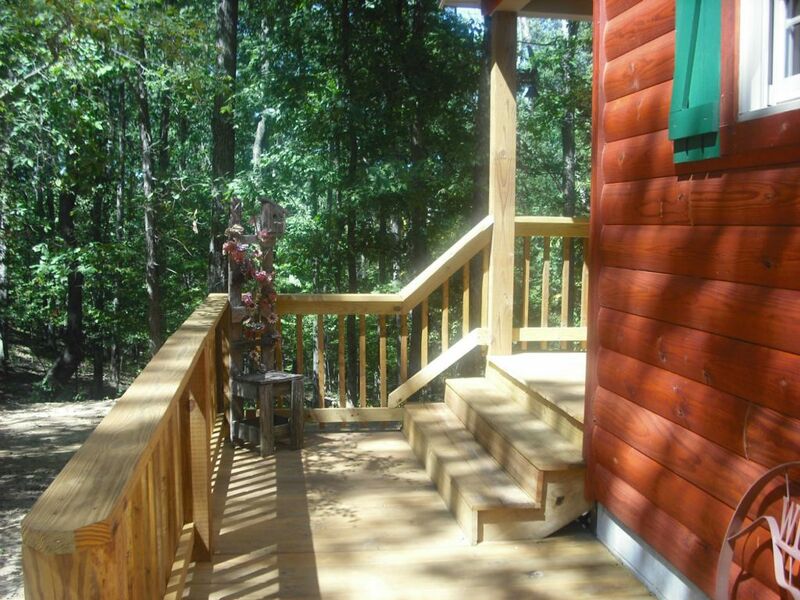 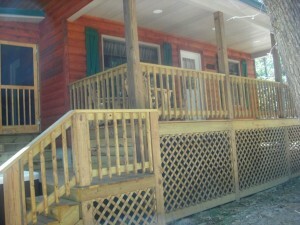 Enjoy the great outdoors on the screened in side porch. 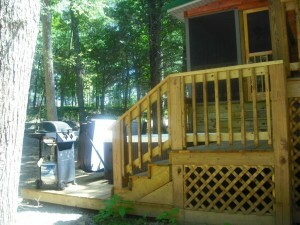 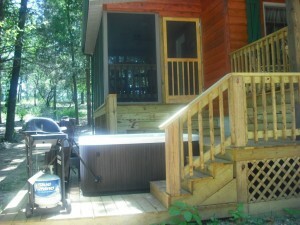 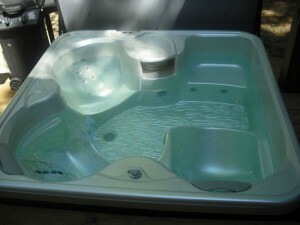 Just off the porch, on the deck, is the hot tub and charcol grill. 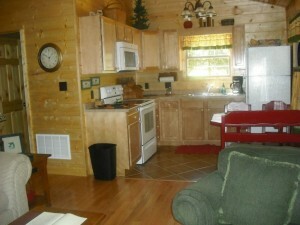 The kitchen is fully furnished, just bring your food and coffee. 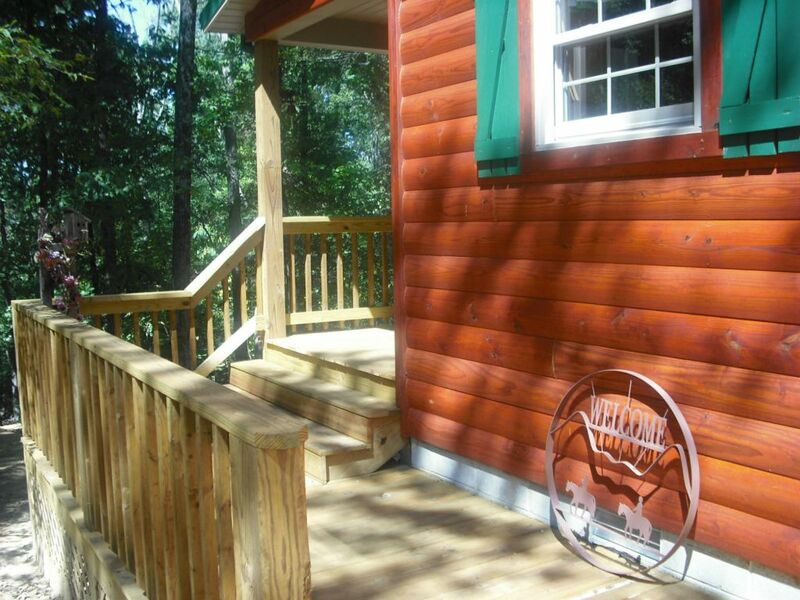 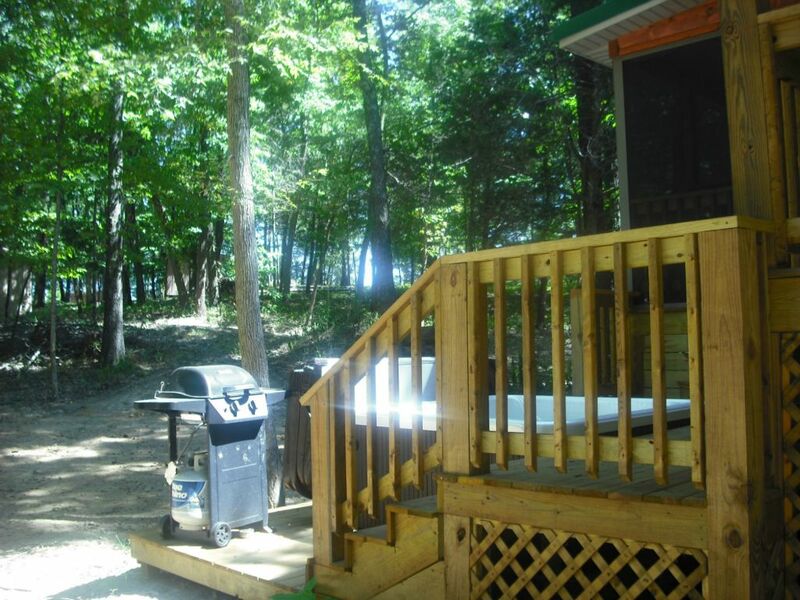 Skipper’s Dream is located in the woods, facing the wild life that can be seen if you are quite enough! Linens and towels are furnished. 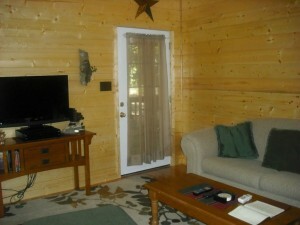 Three Satellite TVs and wi-fi.